generates a layered plot of the graph g.
generates a layered plot of the graph with edges ej. 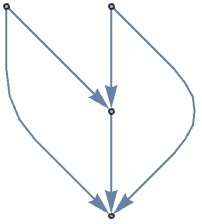 places the dominant vertices in the plot at position pos. 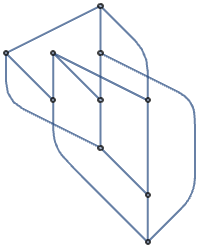 LayeredGraphPlot attempts to place vertices in a series of "layers". 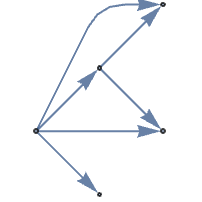 LayeredGraphPlot supports the same vertices and edges as Graph. LayeredGraphPlot by default puts "dominant" vertices at the top, and puts vertices lower in the "hierarchy" progressively further down. LayeredGraphPlot[g,pos] places the dominant vertices at position pos. Possible positions are: Top, Bottom, Left, Right. By default, LayeredGraphPlot places each dominant vertex at the top.